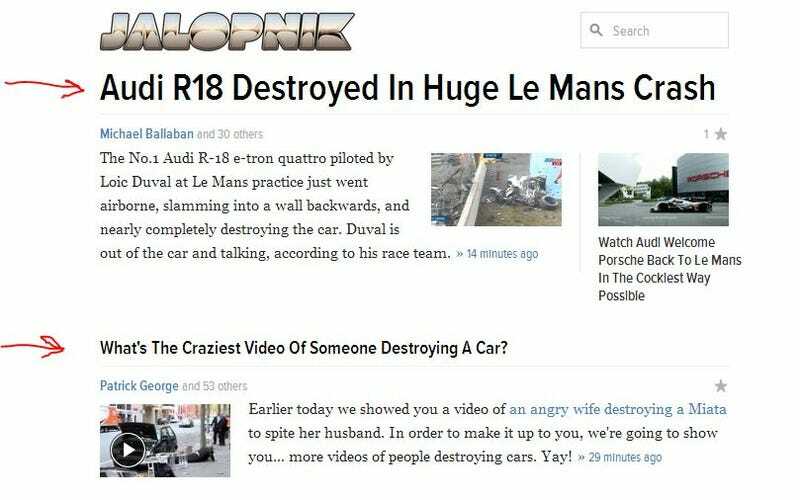 Bad Form, Jalopnik. Bad Form. Just kidding, bad timing obviously. Good news driver Loic Duval survived and is conscious. Y&apos;all Ever See a Crankshaft So Big It Could Smush You When It Turned?